LEXINGTON, Ky. (Feb. 10, 2014) — A new study led by University of Kentucky Markey Cancer Center researcher Peter Zhou shows that targeting Twist, a nuclear protein that is an accelerant of the epithelial-mesenchymal transition (EMT) program in human cells, may provide an effective approach for treating triple-negative breast cancer. Triple-negative breast cancer has an activated EMT program, which is a process that provides cells with the increased plasticity (or flexibility) to adapt to stressed environments during embryonic development, wound healing, tissue fibrosis and metastasis. EMT provides tumor cells with stem cell-like characteristics, making them resistant to therapeutics and increasing their chances for early metastasis. Triple-negative breast cancer in particular is associated with an aggressive clinical history, development of recurrence, distant metastasis and shorter patient survival, especially in younger women. It lacks effective targeted therapies and often displays early metastatic spread to brain and lung, sites known to be associated with an estimated 5-year survival of less than 20 percent. Published in Cancer Cell, the study found that the nuclear protein Twist acts similarly to a virus protein. Using protein purification, Zhou's team identified that Twist interacted with a key nuclear transcription regulator BRD4. When many DNA viruses (such as papillomaviruses) enter into human “host” cells during infection, they hijack host cell machinery to replicate and synthesis their viral DNA and proteins. BRD4 is the virus's favored molecule and is often seized by DNA papillomaviruses for gene transcription during replication and growth. Twist uses a similar strategy to recruit BRD4 to the genomic regions that are regulated by Twist. Many of these genomic regions contain oncogenes, such as those of survival proteins, growth factors and molecules that enhance cell migration and invasion. By recruiting BRD4 to these genomic regions, Twist accelerates cell growth and invasion by “waking up” the expression of these oncogenes. Additionally, the study showed that two BRD4 inhibitors, JQ1 and MS417, can specifically disrupt the interaction of Twist with BRD4, resulting in the suppression of invasion, stem cell-like characters and tumorigenicity of triple-negative breast cancer cells. 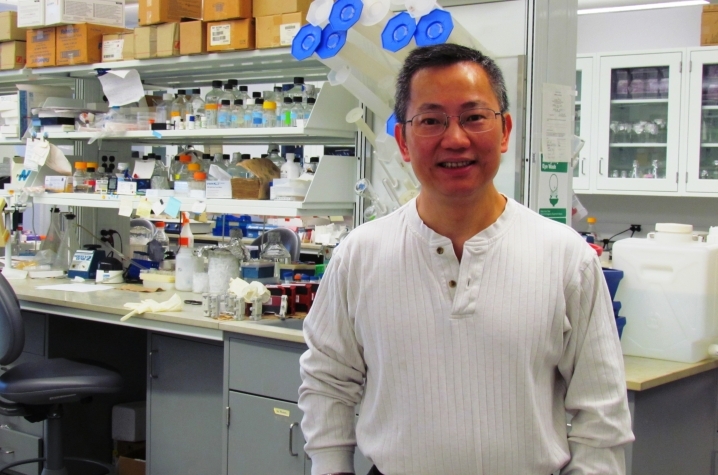 "This finding has significant clinical ramification, because drugs that can target the Twist-BRD4 interaction provide a new hope for treating life-threatening triple-negative breast cancer," said Zhou, associate professor of molecular and cellular biochemistry at UK. Jian Shi, a post-doctoral fellow at UK Markey Cancer Center, was the first author of this study, and other collaborators include UK Markey Cancer Center director Dr. Mark Evers and researchers Chi Wang and Haining Zhu. Previously, Zhou and his team have studied the role of the Snail complex — also known as the cellular "brake" in contrast to Twist's accelerant — in the EMT program.